“`John G. Avildsen directed Rocky and The Karate Kid; two dark-horse favorites that became bankable screen franchises. He earned an Oscar for the celebrated boxing story about the fictional Rocky Balboa. Sylvester Stallone, then unknown, had written the script, and sought Avildsen (right) to direct it. 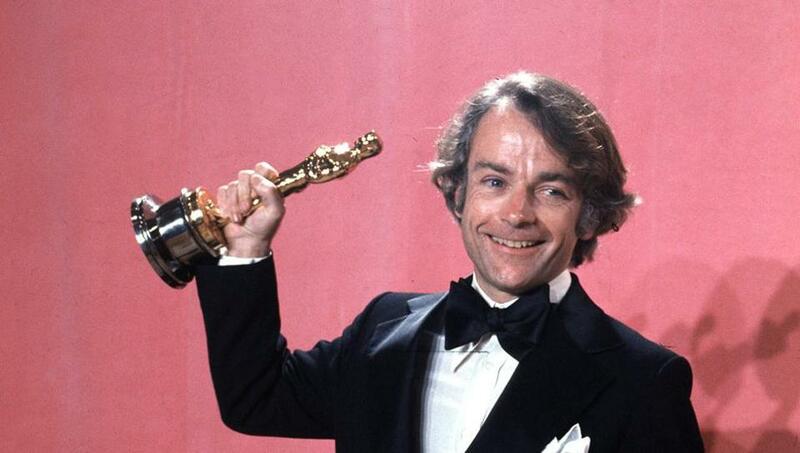 “`Avildsen came up the hard way in Hollywood. John started his apprenticeship as assistant director, production manager, cinematographer, and editor. His breakthrough work was Joe, which starred Peter Boyle. Other productions he directed include Save the Tiger (it earned Jack Lemmon an Oscar for his performance), The Formula, Neighbors, Lean on Me and Eight Seconds. He also continued working on The Karate Kid franchise. Avildsen was the original director for Serpico and Saturday Night Fever; but, in each case, was fired over disputes with the producers. “`An upcoming documentary on the life, career, and motion pictures of Avildsen is currently in the process of global distribution. Speaking on screen includes Stallone, Ralph Macchio, Martin Scorsese, Jerry Weintraub, and Burt Reynolds. Its release is expected in August. “`John G. Avildsen was 81. 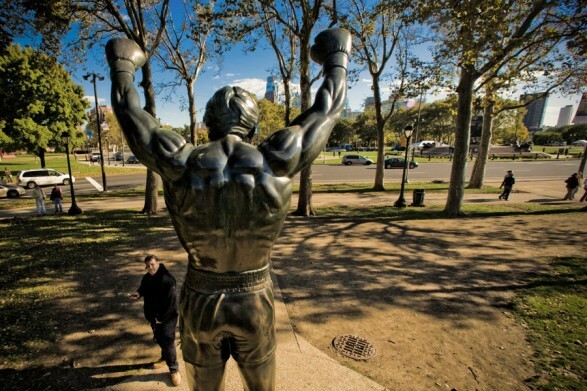 “`The Rocky statue, one of Philadelphia’s largest tourist attractions, is back open for visitors. The iconic statue and famous steps that lead to the sculpture were inaccessible to visitors during set up and take down for the NFL Draft. Area upgrades were also conducted over the last two weeks. On the same day it reopened, members of the Philly Police and the NBA 76ers held a workout on the steps. “`The bronze Rocky was originally commissioned by Sylvester Stallone. This entry was posted on Saturday, June 17th, 2017 at 1:12 am	and is filed under Blog by Manny Pacheco. You can follow any comments to this post through the RSS 2.0 feed. Responses are currently closed, but you can trackback from your own site.